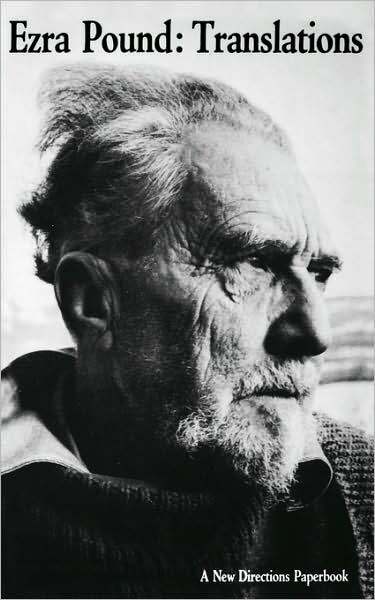 Ezra Pound is destined to rank as one of the great translators of all time. Ranging through many languages, he chose for translation writers whose work marked a significant turning point in the development of world literature, or key poems which exemplify what is most vital in a given period or genre. This new enlarged edition, devoted chiefly to poetry, includes some forty pages of previously uncollected material. Anglo-Saxon: The Seafarer. Chinese: (Cathay) Rihaku (Li Po). Bunno, Mei Sheng, T’ao Yuan Ming. Egyptian: Conversations in Courtship. French: du Bellay, de Boufflers, D’Orléans, Lalorgue, Lubicz-Milosz, Rimbaud, Tailhade. Prose: de Gourmont. Hindi: Kabir. Italian: Cavalcanti, St. Francis, Guinicelli, Leopardi, Montanari, Orlandi. Japanese Noh Plays: 15 plays with Fenollosa’s commentary. Latin: Catullus, Horace, Navagero, Rutilius. Provençal: Bertrand de Born, Cercalmon, Daniel, Folquet de Romans, Li Viniers, Ventadorn.